Welcome to the Blogger Tutorials series and this is the 2nd post. 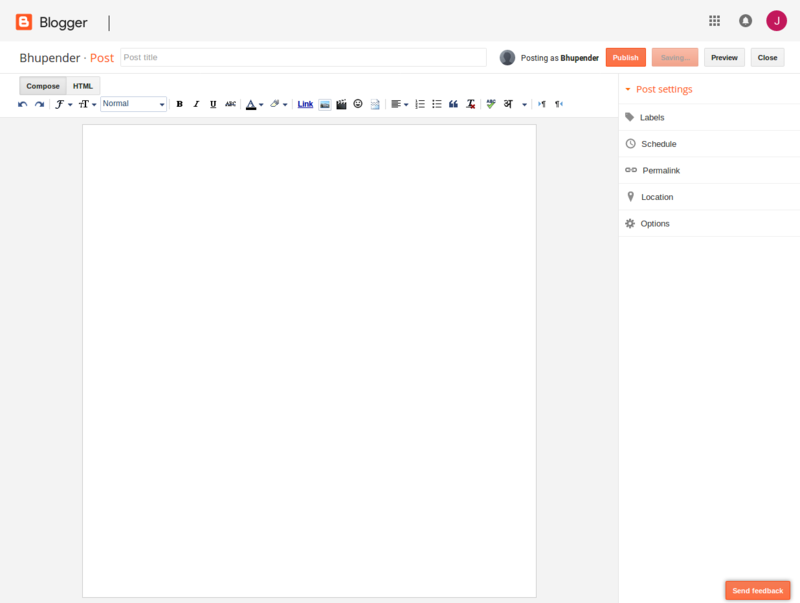 Today we will look at setting up a blogger blog. Haven’t read the introduction read below. 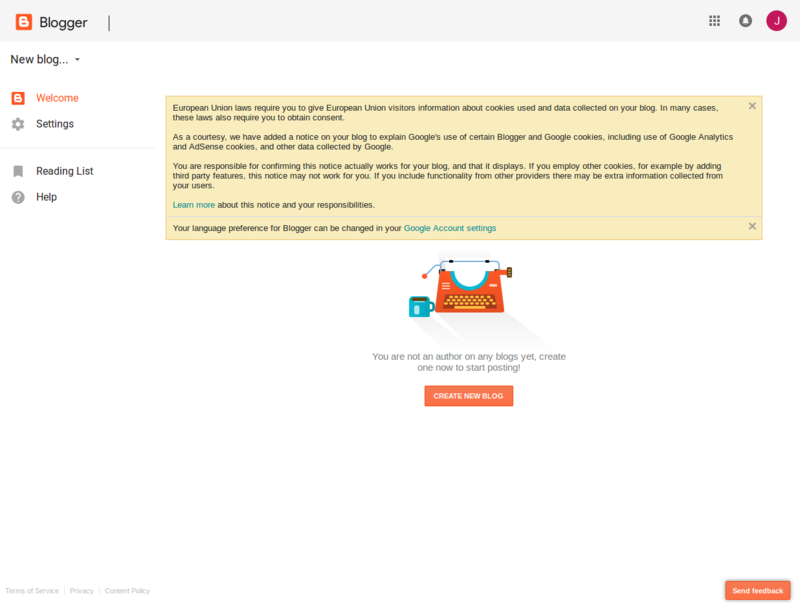 As we have talked if you want to create a blog on the blogger.com you need to have a Google Account so if you have one go ahead and follow the post and if not click here and make one. 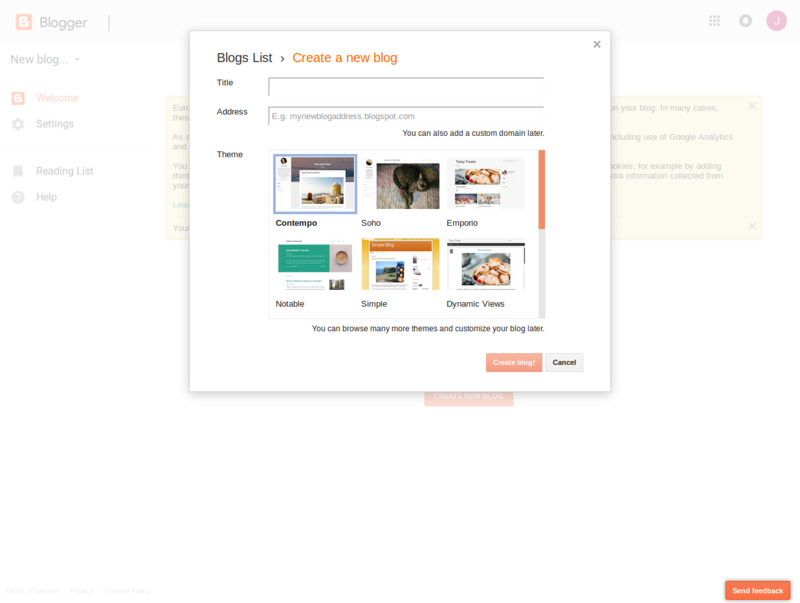 After you see the following screen click on create a new blog and the following window will get appear.(Fig.1.2). Type in the name of your blog and give it a address and make sure you will get a sub-domain for eg- example.blogspot.com if you want to get a domain like example.com you had to buy it. 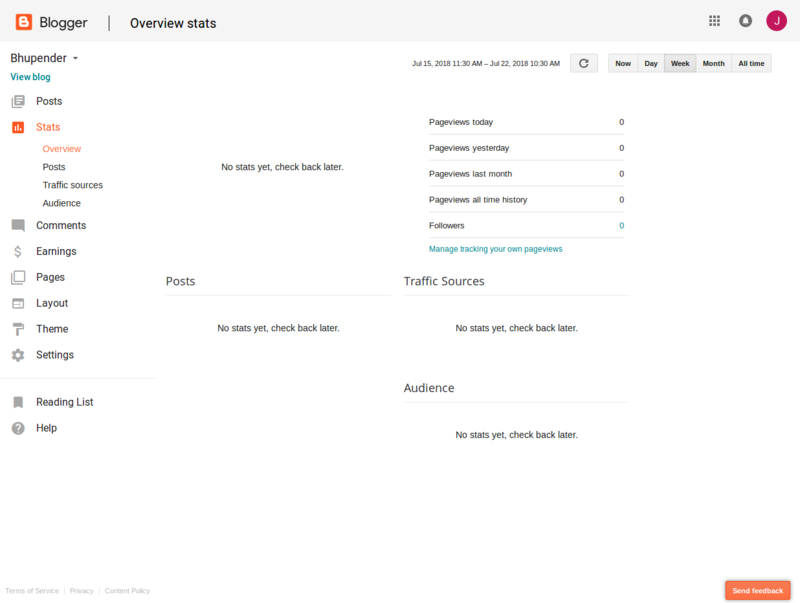 Writing your first post is very simple just click on new post and the following screen appears(Fig.1.4) then write whatever your blog is about. Congratulations!! you had written your first post. 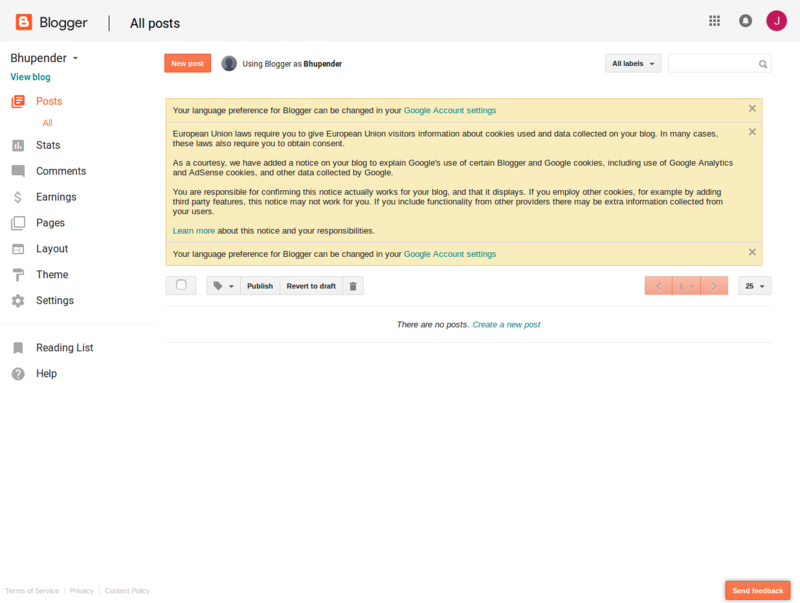 With this button you can change the theme/template of your blog. 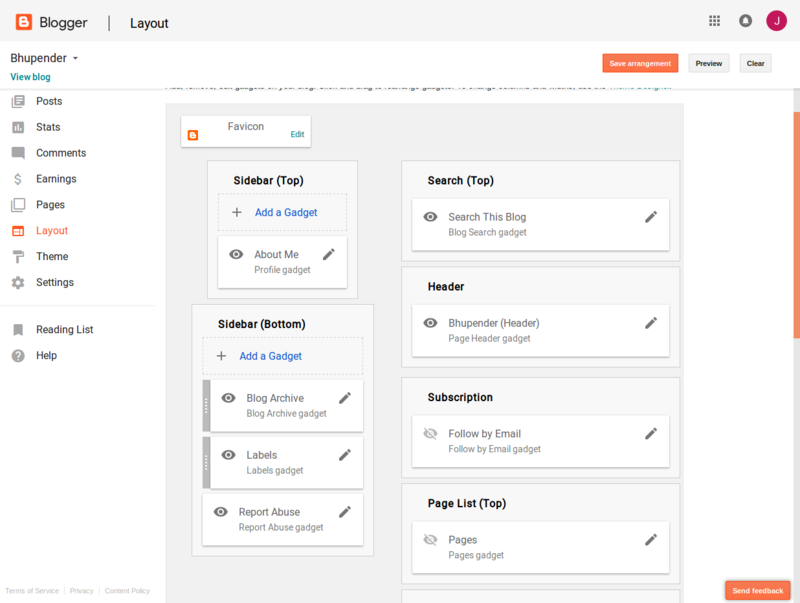 By default blogger gives you various themes but I recommend going with premium themes distributed online by clicking here. Changing default themes to custom themes is very simple even a child can do it then why can’t you. First download premium theme distributed online by clicking here. 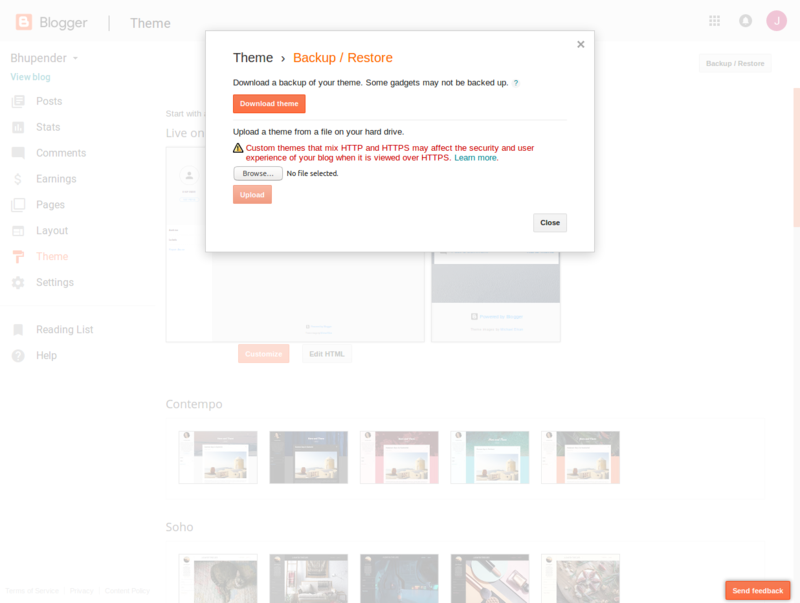 There are paid and free themes available. Then click on browse button given navigate to the .xml file which you had downloaded and then simply click upload. I recommend you to download your backup by clicking download button as if you had any post. Now you had completed setting up a blogger blog. I hope you liked the post. You can say few words of appreciation in the comment box below. Great things starting you. I have understood your matter former to and you are just too wonderful. I really like anything you have developed now, surely like anything you are saw and the way in which you about it. You style it enjoyable and you silent care for to keep it smart. Thanks really effective list to boost up ranking in search engine.